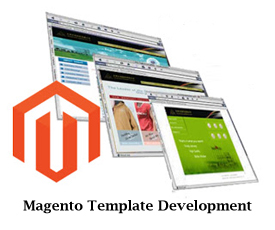 Magento Template Development, eCommerce Business, Magento template design. Magento has an extensive library of templates that allows developers to create unique websites which are feature rich, intuitve, compatible with different browsers and highly profitable. The ecommerce business is highly competitive with innumerable websites selling similar or same goods and services. A distinct website enable brand-recollection amongst users and Magento steps in admirably to deliver authentic websites with high recall value. Adone Group offers end to end Magento template design and development service to clients. We offer diverse range of customizations that allow changes at all levels on the website. At Adone Group our Magento developers create unique and powerful templates that will sway your visitors and keep them coming back for more! We have created engaging websites in the past that have showcased client's products in a manner that has rendered highest profitability. Our focus is not just on utility and efficiency but also on elegance and style while designing a new website.